If you would like to learn about our beliefs regarding the Sacrament of Baptism, we’ve written a short whitepaper. Before he began his public ministry, Jesus was baptized as a way of setting an example for those who would follow him. 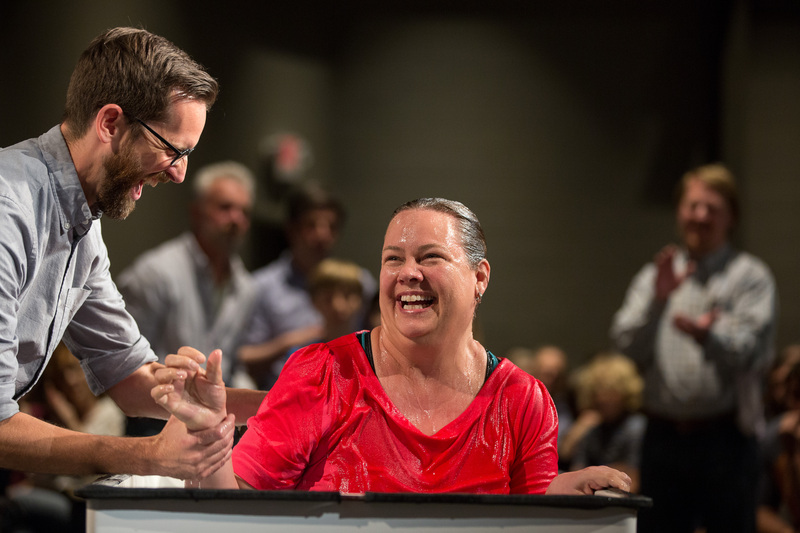 It is through the events of Jesus’ baptism that we are, therefore, able to learn what baptism also means for us. Just as baptism marked the beginning of Jesus’ ministry, baptism also marks the beginning of new kind of life for those who follow him. It is a life that is marked by the presence of the Holy Spirit, God’s blessing and acceptance, and a renewed sense of family. Those who are interested in being baptized are required to participate in our Alpha course. See below for dates, times, and location. If you intend to be baptized please email your pastor at the link below. At Trinity we joyfully bless, as well as baptize and affirm the faith of children. Parents of infants-1st grade who wish to have their children either blessed or baptized are required to attend our Alpha course in preparation for welcoming their little ones into the life of the church. Please watch the video above for information about Alpha at Trinity and see below for dates, times, location, and registration. Although only one parent is required, we strongly encourage couples who are interested to attend together. Childcare supplements are available, just fill out this short form. Parent registration is now closed. Check back soon for Fall class details. Children who are ages 2nd-5th grade who wish to be baptized or to affirm their faith are required to take a two day preparatory class. Affirmations of Faith are for those who were baptized as infants and now wish to make a public profession of their faith. If you have questions about dates and location for this class, please email your Kids Pastor directly or click the registration link below. Trinity Youth ages 6-12th grade are also encouraged to consider baptism if they have never been baptized or to publicly affirm their faith if they were baptized as infants. If you are the parent of a youth who is asking questions about baptism or affirming his/her faith, please email your Youth Pastor for more information.